The NSUI district president of Shahjahanpur, Irfan Hussain allegedly threatened a woman student after she complained of an eve-teasing incident. 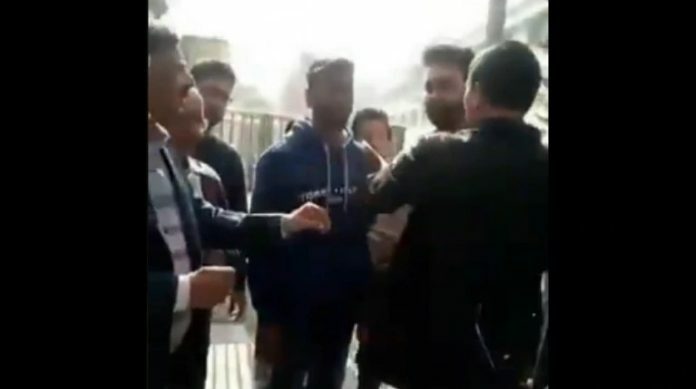 In a shocking incident, the NSUI district president of Shahjahanpur, Irfan Hussain allegedly threatened a woman student after she complained of an eve-teasing incident. In a video that is doing the rounds on social media, Hussain could be seen threatening the woman in front of the college staff who stood there still. “You are just in the first year now, you have to stay here for three more years, you must reform yourself (sudhar jao). I will make it very difficult for you to enter the college main gate. Act like a woman, stay in your limits,” Hussain said aggressively to the woman. An FIR has been registered against Hussain and Shahjahanpur police have been trying to arrest him, who is absconding.